If can’t get Cro Cop to try and kick Alberto Del Rio’s head off, then this may be our next best option. We have no idea why Ian McCall hates Alberto Del Rio but Ian McCall really hates Alberto Del Rio. There are a lot valid reasons to want to punch Del Rio in the face, we’re just not sure why McCall wants to so bad. Maybe McCall is a WWE fan? A fan of Del Rio’s ex-girlfriend and WWE superstar Paige? Or maybe these guys run in the same Southern California circles and just don’t like each other? In case you missed it TMZ Sports has the story of why Del Rio is returning to MMA and ditching the world of pro wrestling. 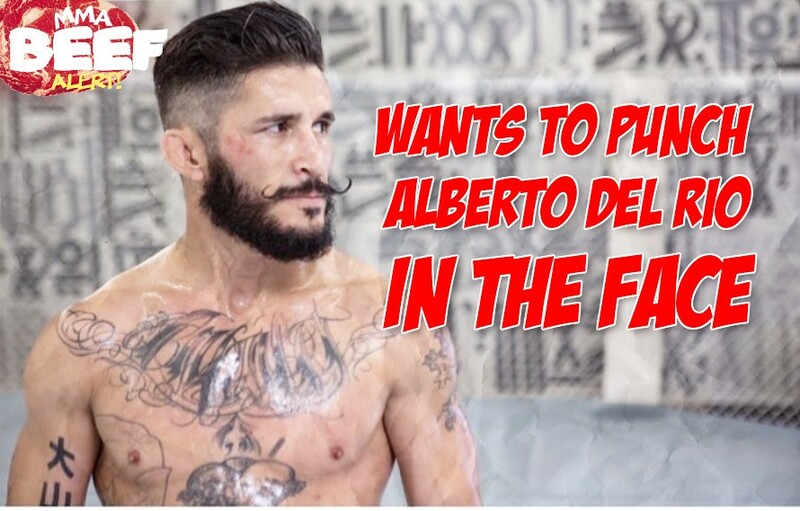 “The 41-year-old announced his decision to return to MMA for Combate Americas earlier this month … and he’s eyeing a fight in 2019. ICYMI — ADR had been in the news for other reasons over the past year — he had a very public breakup with Paige and was investigated for domestic violence after an airport incident (he was cleared of any wrongdoing). Alberto says he’s been humbled by those incidents … and that’s what got him back in the gym training like a madman. So a former UFC flyweight contender wants to fight a 41-year-old former WWE wrestler, with a 9-5 record in pro MMA? I think we can be sold on a Uncle Creepy taking an open-weight fight with ADR? Yes, yes we can. Brendan Schaub Claims He and Dana White Are Eskimo Brothers… Who Could It Be?